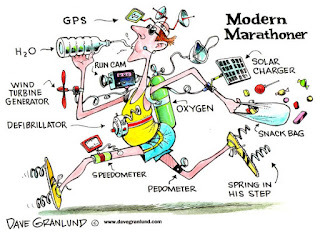 Believe me, Marathon Mania was very much a commoner's vogue world from the times of Chanakya. Just that world wakes up to it in vivid ways. Right from the Battle of Marathon, and the secrets of the "Raramuri runners(barefoot runners of the South America)" being unearthed, after centuries today we witness run for a cause, run for fun and many such events. Haven't you heard of Boston marathon? Surely about the fancy dress marathons of London? Well, the best one is the Pinkathon of India. The scene is jaw dropping. 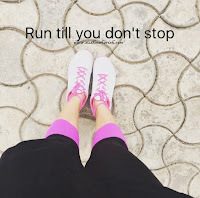 Thousands of women on roads, running miles and miles with smiles. 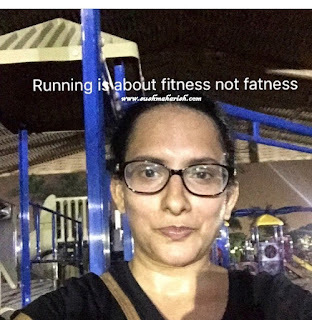 Running like few 10 kilometers is not a joke. Phew, it's an abuse to the body is the opinion of few. 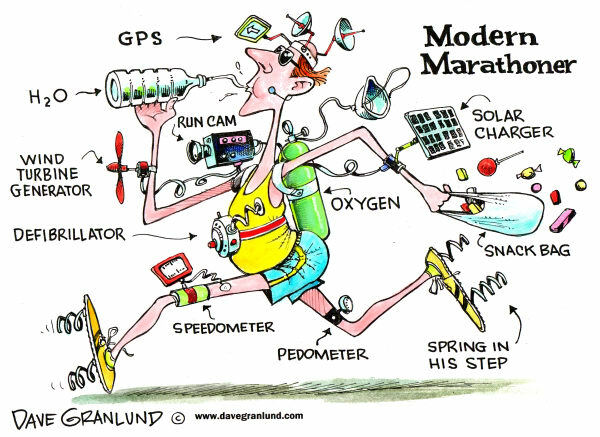 And there are more than few who appreciate a marathoner. If injuries is what you are thinking about, be reminded of Philippides. He was that Greek messenger who ran from battle field of Marathon to Athens announcing the military victory of Persians in the war , collapsed and breathed his last, right in the assembly. Philippides had zinged off over 300 kilometers, at a stretch in two days! Can't you do a few 10 kilometers with all modern amenities? The question I asked myself few years ago. I was beginning to discover the lost athlete in my soul. Lost decades ago after the college times. Ever since, the long runs have been named after the place Marathon, today it is an entire way of life. We have distinguished clubs to "train" for a marathon. We have an potpourri of running accessories like, pedometer, head band, sweat band, runners pouch, sports watches in variety. Apparels, footwear, electronics, name it and find it. Legacy of Philippides has grown far and wide, tall and strong. As for me training too is self styled. I am not a fashionista but running "nanage ishta"(nanage ishta=i love, in kannada). If you found someone spinning around in your community with the few uncles and aunties walking, they have their own tales to tell you like me. That one lady in sports attire huffing and puffing with the timer on, in our residential community could be me. And I have my own anecdotes. Training sessions are something I look forward to fondly. Every morning alarm though disgusts me for ruining my sleep and dream, I spring out of bed planning the running session! I am self trained. There's no trainer for me but only entertainer. Now, I say this, because, as I do my rounds in the compound, I come across variety of people. Some walk for purpose, some simply to kill boredom, few run for fitness, and a handful who enjoy the evening weather. People of different nationalities, different views but all wait to smile and each other during our morning/evening strolls/runs. If you see that uncle in brown jacket, hands tied at the back, please try and give him a jadu ki jhappi. His walking mode is more or less the slow motion video on my phone and it's lovely how he adores his slow motion walks with occasional nods. When my calf muscles yell at me for the abuse, I slow down walk a bit and amuse myself wondering if the uncle's occasional nods do have a purpose or are wind driven. It seems he's more happy outdoors. But there's one uncle whose whistle can be heard like in a 100m distance. He's the one who will greet you with warmth. He's a walker too. But a "walker" whistling all along. Each time we cross by and he finds me walking instead of running, he doesn't forget to ask me "how many kilometers lady" tired today? Do you believe in good luck ideas? Well, there's this uncle who probably believed walking is lucky for his business deals. Always see him on his mobile, brisk walk, loud business talks. Who ever said men can't muti task! So much about uncles, the lovely aunties were lesser in evening and more in the morning. One of them always decides to praise my run and with my widest grin I stop to make her talk more. Definitely aunties are more honest walkers and better at multi tasks. They can cover whole lot of subject in a span of 3 kilometers to 5. from lunch menu, the new sale offers in splash, to the "dekha renu ki beti ko, haay ram, chikni chameli jaise kapde aur dance , ooof". This isn't eves dropping folks. When there's so much entertainment that swirls and wriggles into your ears when you run, how could you deny it? Well, after all these encounters, I gifted my apple i-pod to my daughter and declared I had enough entertainment to inspire me for my training. Yes, I can do it without the music. I had a lot much one could not ask for more. After accomplishing every marathon event, and see the medal hung around my neck, I smile proudly thinking of my future self training sessions. Aah, I might have to join a Nike Training Club if I do not have these uncles and aunties of my community in my life, who cheer me up daily. Run, run for your life. Life is not short. Nor a sprint. It's a marathon itself. P.S. 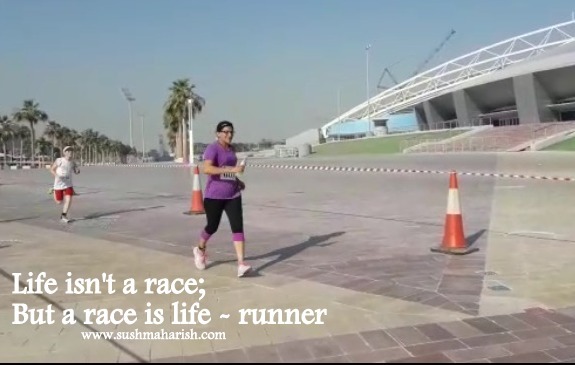 - A starter post on #Marathon. There will be more coming on this. Nice ... like it ! !